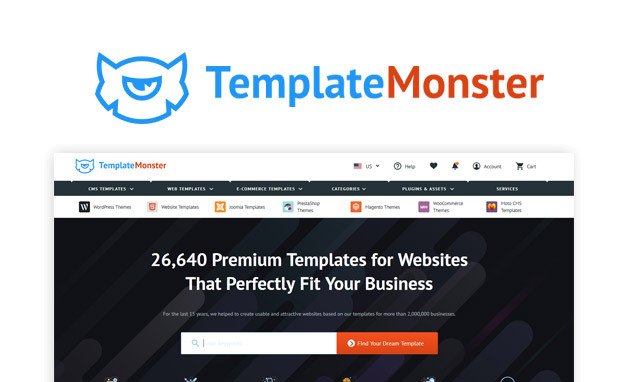 Template Monster are one of the oldest and largest websites which sell themes and templates for a wide range of content management systems.The company was started in 2002 which means they have been selling templates for over 15 years now! They currently offer over 26,000 different items spread across many different categories. If you are looking for a WordPress theme you will find one to suit your needs with over 1600 themes in this category. Their themes are well designed, responsive and easy to use and they offer excellent customer support should you ever need any help in setting up your purchase. We have partnered with Template Monster to bring you an exclusive discount code which you can use to get money off any purchase on their website. Use our exclusive coupon code to get a 20% discount off any purchase – that includes all themes and templates available.